March is National Women’s History Month, a month dedicated to celebrating the achievements and contributions women have made to society. For an entire thirty-one days, we highlight and salute women who are making strides and shattering norms. This Women’s History Month, we’re taking a look at some everyday moms who inspire us. They are truly powerful, motivated, and admirable women who have made their mark in various fields. 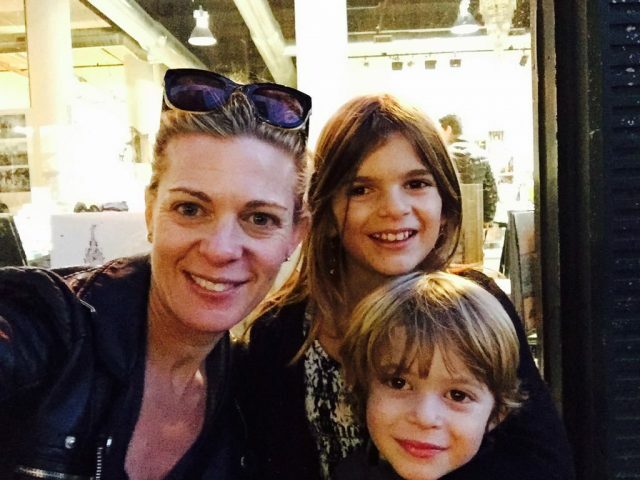 Enter Mallory Kasdan, author of ELLA, a professional voice actor for television and radio, and the host of the popular podcast, MILK: Getting in there with Moms I’d Like to Know. Once upon a time Mallory was a book publicist and accompanied RuPaul on a 5-city book tour. She lives in Brooklyn with her husband and two kids. How do you define motherhood? Motherhood is where I live. It’s always changing and enriching to be the mother of my kids, and its weird to think I haven’t always lived here. Being their mom shapes my life and decisions and I occasionally resent not being able to do exactly what I want to do all the time. Who wouldn’t? But shaping people who I think are excellent people is worth any loss of my old self that I miss. What superpower do you bring to motherhood? I have no superpowers — I’m just doing my best as a human to raise kind and thoughtful smaller humans who can think for themselves and hopefully make the world a better place due to their particular special skills. I guess my superpower might be that I can generally find humor in most things. It helps me to laugh with my family, with friends, and even with strangers. Life is funny, and sad, and crazy, but humor often helps me muddle through. What makes you do a better job at mothering? I do a better job of mothering when I exercise daily or most days. And when I sleep enough, which is never. I try not to be too hard on myself because my kids are terrific and as humans we are all evolving all the time. What’s your funniest mom story? I can’t think of anything, oh crap! What special project are you working on now (not mom related)? I’m working on the second season of my podcast, MILK: Moms I’d Like to Know, a second children’s book, and a few other podcast projects for other people/brands. The majority of my work is mommy related because my interests tend to be about what women can do while mothering, the books they write, the stories they tell, the feelings they feel, things they make. Most of my life I would say is through the lens of motherhood, at least right now while my kids still rely on me emotionally and physically. My work does allow me to amplify other women’s voices and hear how they get it done. Advice to other busy moms? Assume that other moms are struggling, and be as kind and non judgmental as you can. Being a parent is crazy hard and we never know what some one else is dealing with in their life that might make things more challenging then they look.